New York Times bestselling writer Wendy Goldman Rohm traveled to Chiang Mai to participate in the workshop, she’s held workshops around Thailand as well as in many other countries. A writer’s workshop was recently held at the Nugent Waterfront Resort and was attended by local author Mo Tejani as well as renowned Thai author Dhitinart Na Pattalung, who wrote the bestselling ‘The Life Compass’, a Thai language book about her experiences as a newly widowed mother, and New York Times bestselling author Wendy Goldman Rohm. The writers discussed not only specifics about their own works but offered advice and lessons on writing with the main emphasis being on discipline and the need to “take yourself seriously, don’t wait for the story, tell it now,” as Wendy Goldman Rohm urged the writers at the retreat. 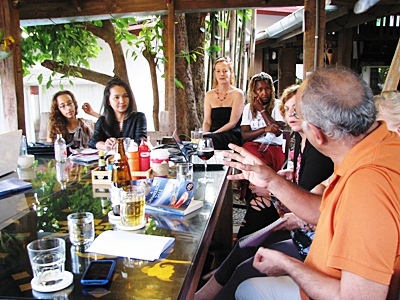 Khun Dhitinart is seen here at the workshop, second right, Wendy Goldman Rohm is third right and well known Chiang Mai author Mo Tejani is in the forefront. 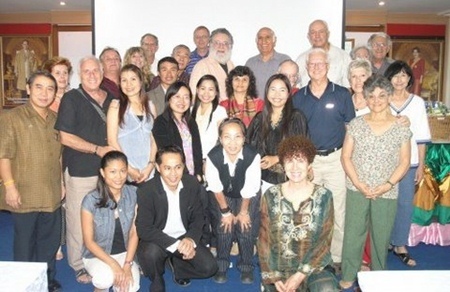 The Chiang Mai Friends group is seen here with Carole Beauclerk seated on the right, front row. Chiang Mai residents American Carole Beauclerk and Australian Ricky Ward for their outstanding contributions to Chiang Mai during their time here. 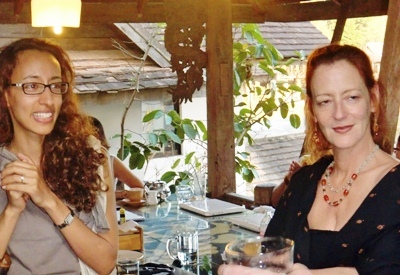 Carole noted that through the Friends of Chiang Mai, she has taught English at the Town Hall, trained guides for the Chiang Mai City Arts and Culture Center and participated in public government meetings and lectured on cross-cultural issues. Addditionally, she co-founded the travel club for the Chiang Mai Expats and has worked with Professor Duangchan and Tanet through the Social Research Institute of Chiang Mai University. Melbourne native Ricky Ward has always had an interest in plants and gardening, even from a small child, so it’s no wonder that his interest turned to environmental issues both here in Chiang Mai and in Australia. With a concern for the great forests that once covered the land, his interest lies in helping people to understand the need for planting trees and the re-forestation of many deforested areas in the North. 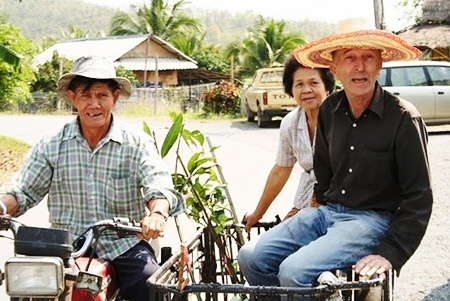 Come to the Friends of Chiang Mai 3rd anniversary party on January 22 to see these two outstanding residents awarded the Chiang Mai Friends Citizen of the year 2010 Award. Tickets for the buffet dinner and fashion show can be found at Boutique Travel 053 449242. [email protected]. Ricky Ward is seen here with residents getting ready to plant trees. A few months ago a cat gave birth to 3 kittens inside my car engine. 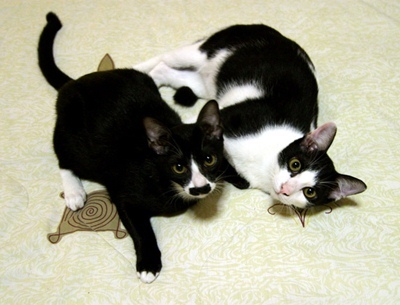 I moved them somewhere safer and befriended them, then, following the sad disappearance of the mother cat and 1 kitten, I took these two boys into my house. Not being here permanently I hadn’t intended taking on any pets and now I must return to the States I can’t turn these boys out onto the street..Can you offer a permanent home for them together? Very friendly and playful, litter trained and sterilised (neutered) They are in foster care with Gill :[email protected]/ 0871 891623.